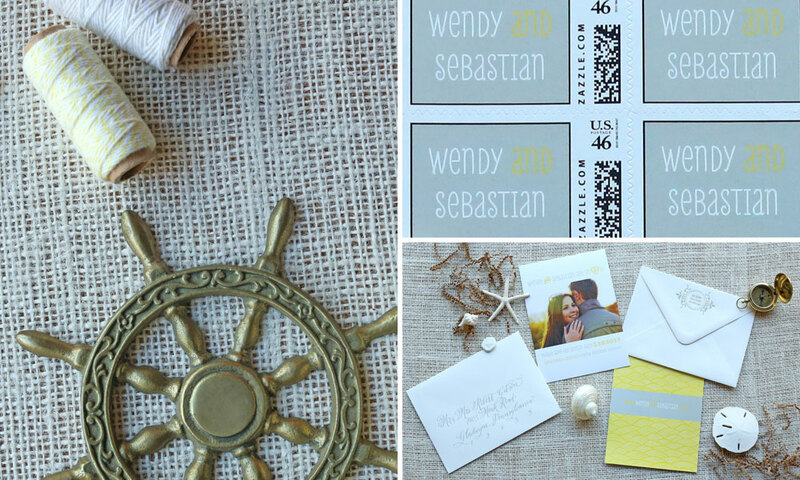 Wendy and Sebastian are a breath of fresh air. 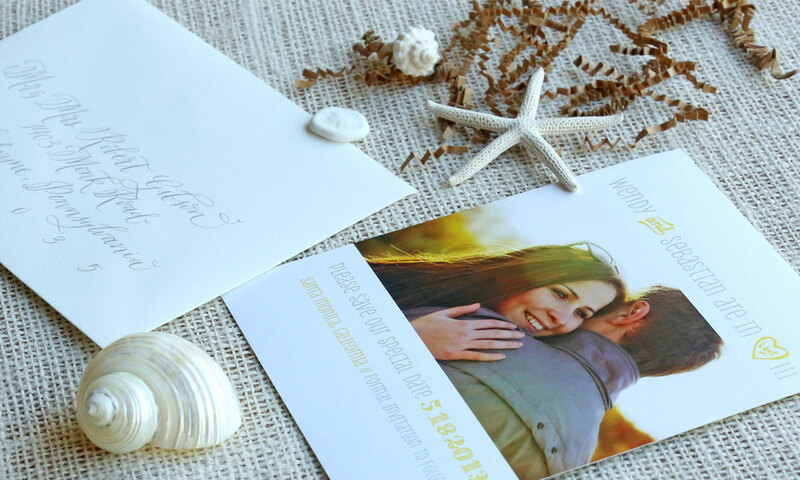 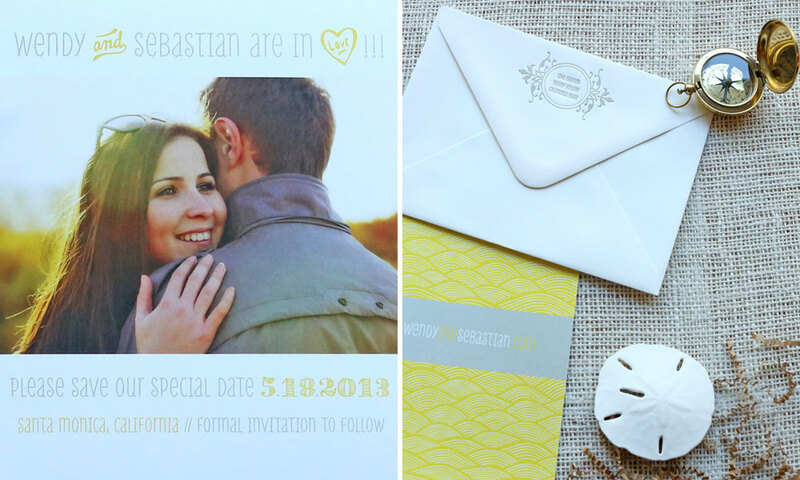 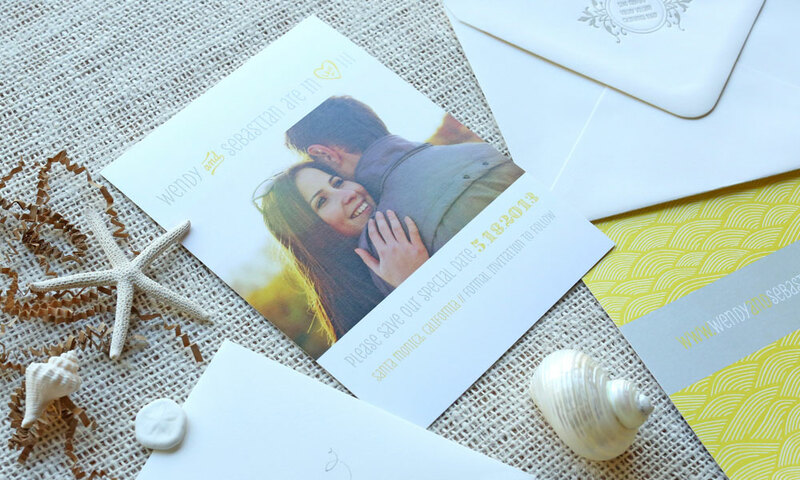 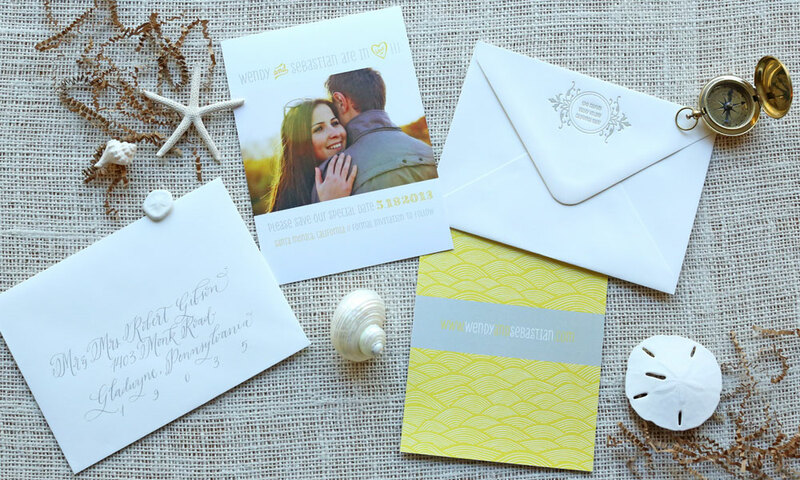 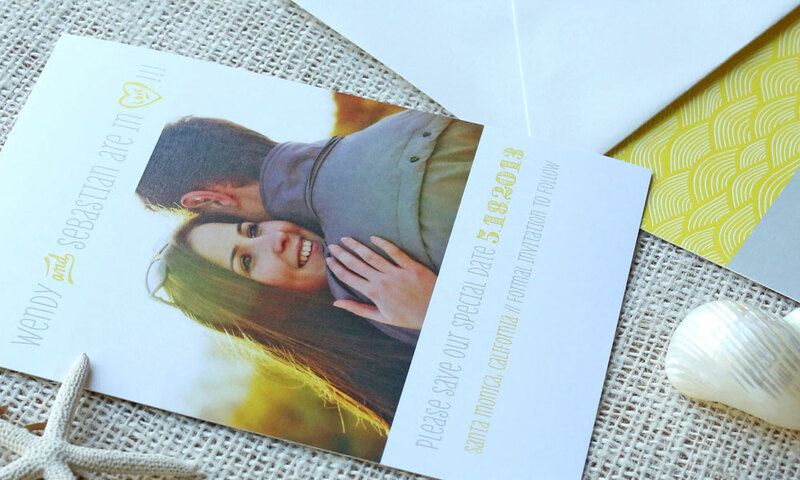 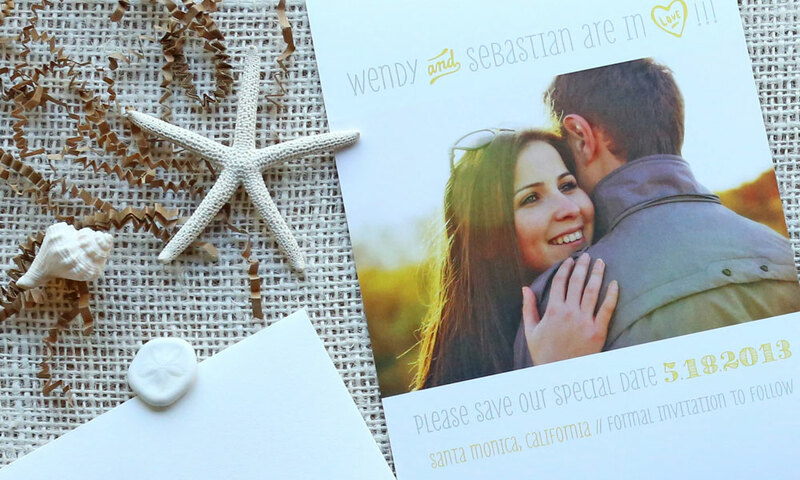 This couple truly radiates positivity, which we playfully incorporate into their save the date through a bright yellow. 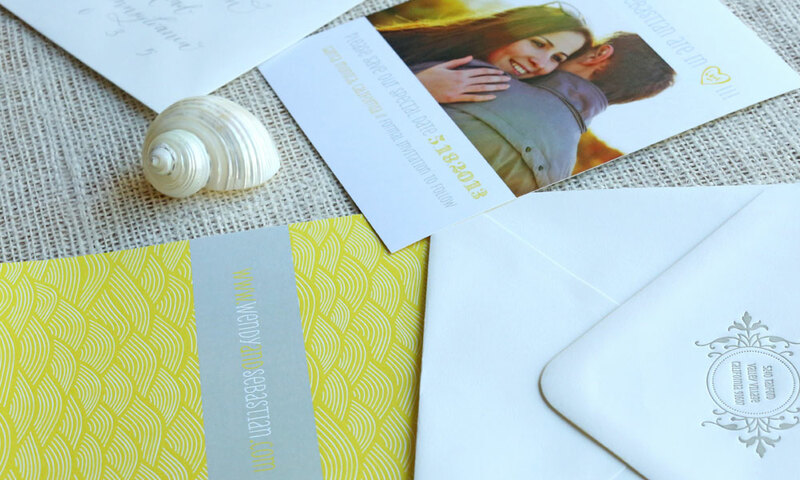 Sandy tans, playful typography and cascading, geometric ocean waves tie the design to the couple’s wedding destination. 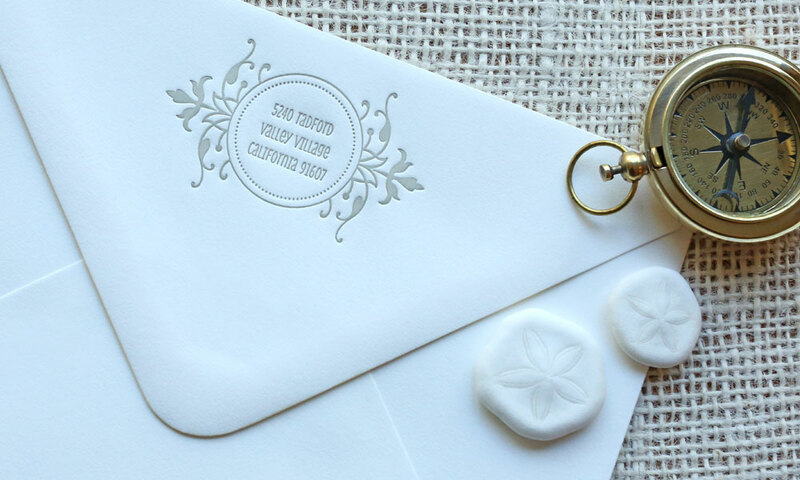 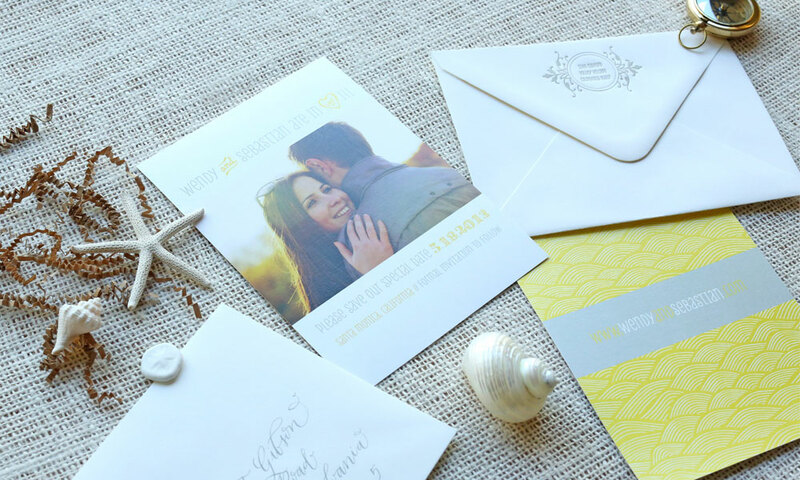 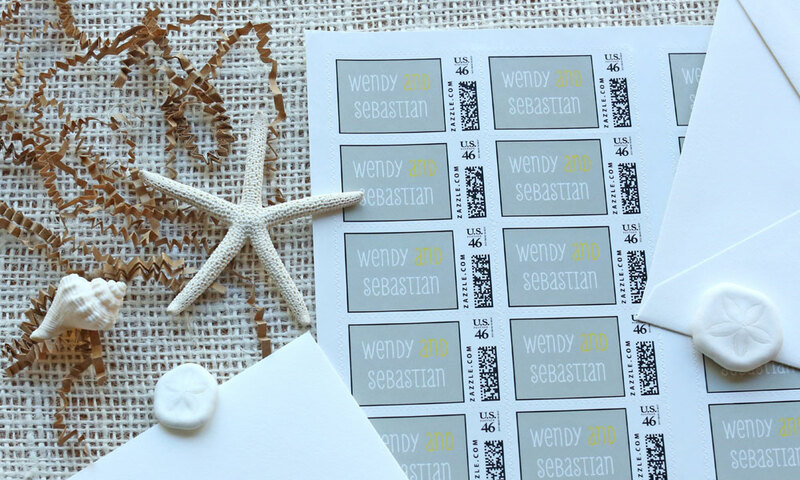 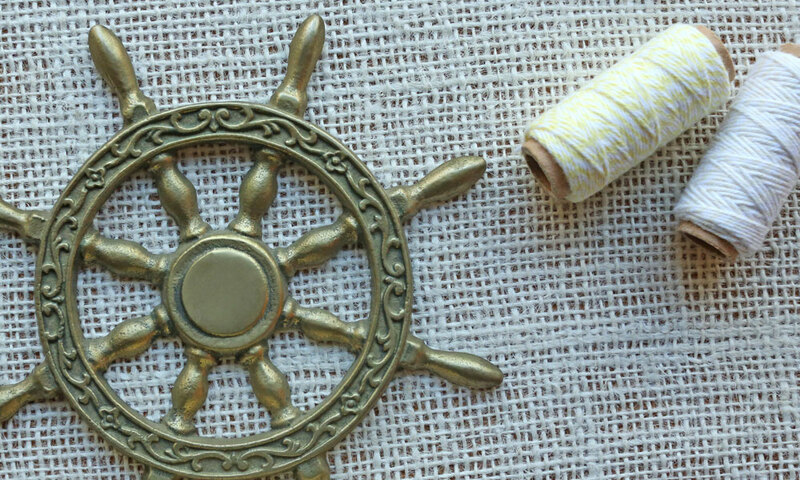 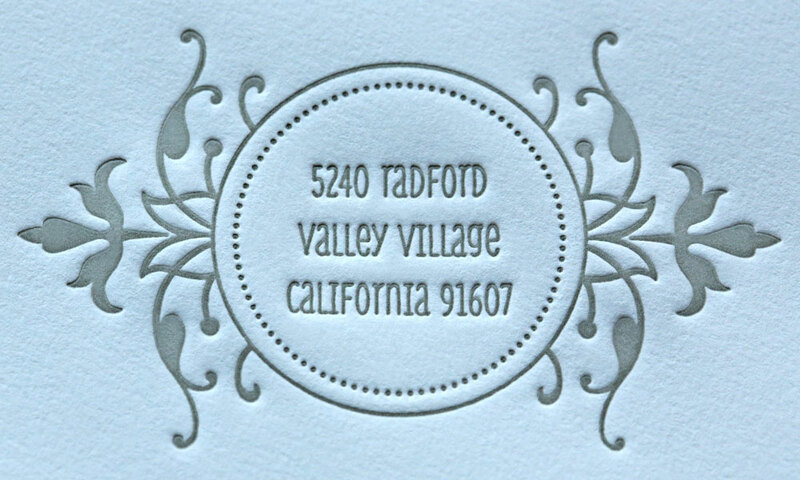 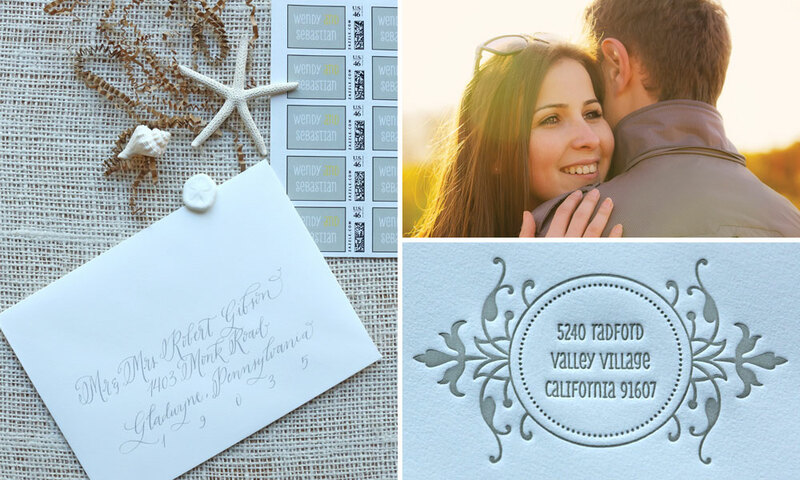 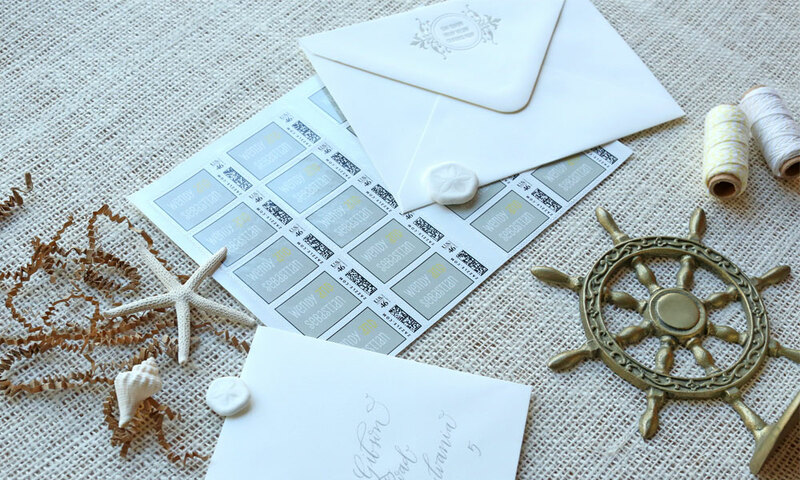 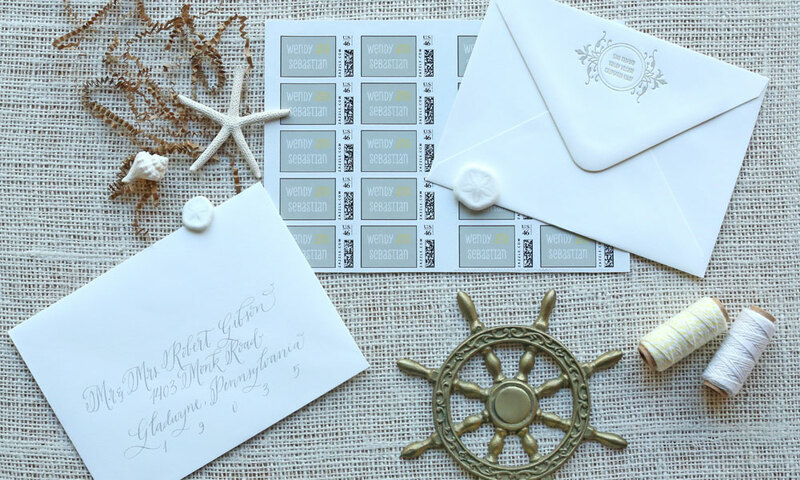 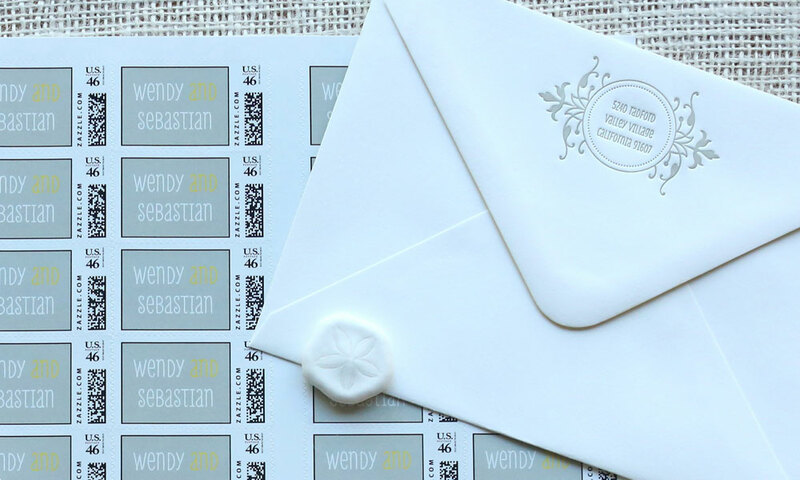 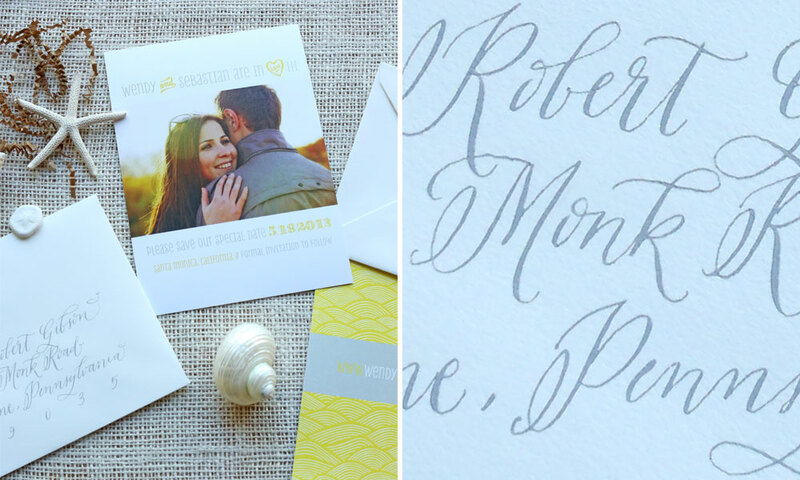 A custom stamp with the couple’s names adorns their white cotton envelope along with a letterpressed return address. 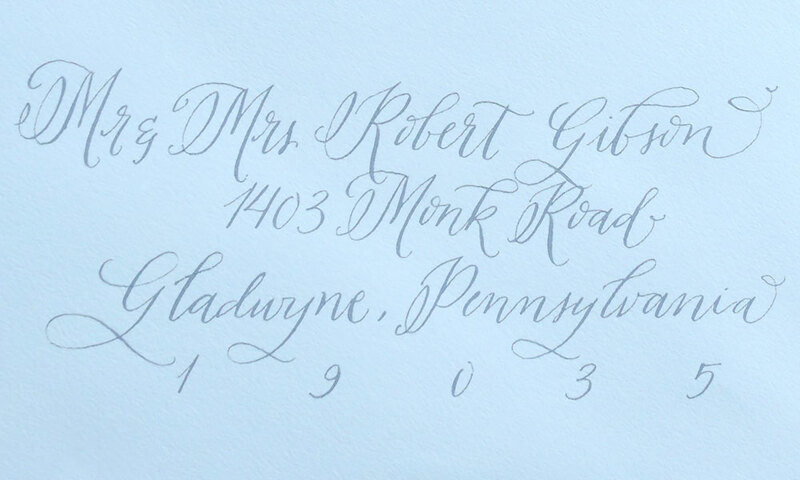 Peaceful and flowy handwritten calligraphy finalize the look.